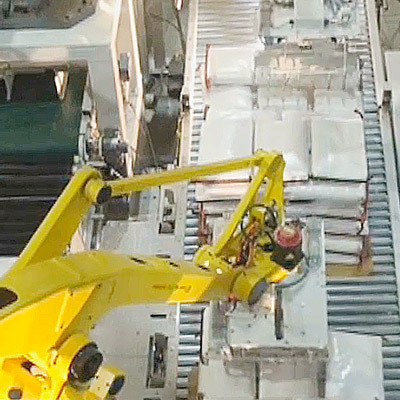 Some companies provide dedicated palletising robots. These tough palletisers are designed and built to deliver 100% duty and faster cycle times. 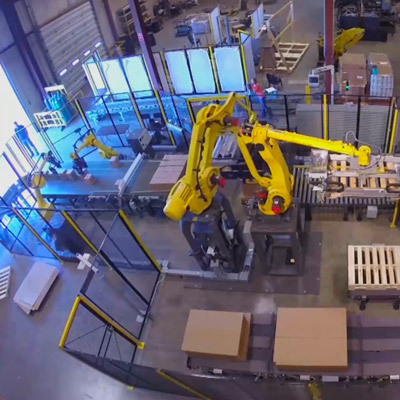 Featuring adaptable software that does not need reprogramming and is capable of handling very large payloads, these palletisers provide the ideal solution to any number of complex mixed or standard palletising operations. Adaptable palletising software enables quick reconfiguration for complex tasks such as multi-pick, different sizes, layering and facing. 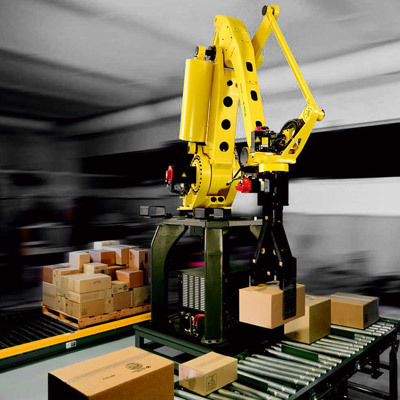 Industrial palletising robots equipped with upgraded gearboxes are built to take the hardest of knocks and keep on working. 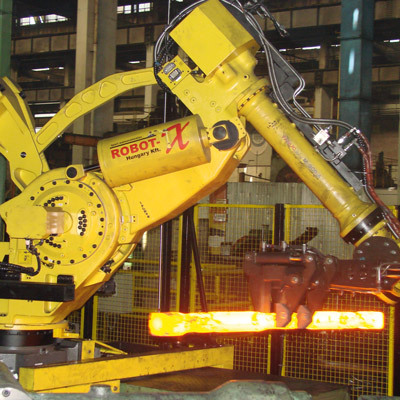 Safety software provided by some manufacturers increases throughput by allowing operators to enter the work area without stopping the robot. By minimising safety zones, this software also reduces palletising space. 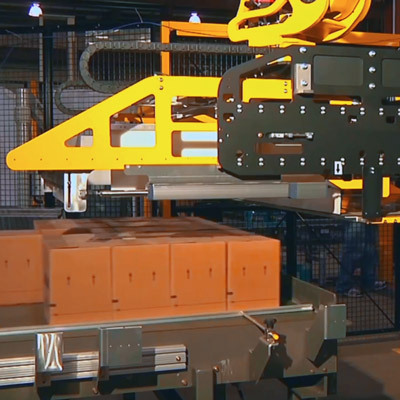 Part size and type recognition, sorting and height detection can all be achieved using intelligent vision systems or a 3D area sensor on depalletising operations. 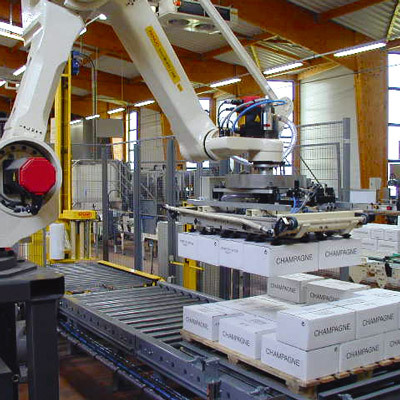 Be it toilet paper, boxes of chocolates, bottles of champagne, cans of beer, bags or barrels, palletising robots can handle parts at up to 30 cycles per minute or more. 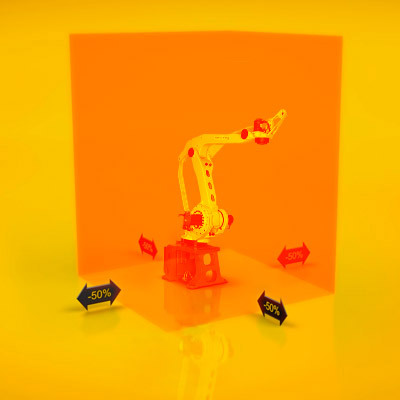 From smaller robots through to purpose-made 5-axis palletising models, whatever the task, payload or envelope, some manufacturers offer palletising robot solutions to suit every need. Easy to use and energy efficient, common controllers offered by some manufacturers are ideal for industrial palletising operations. 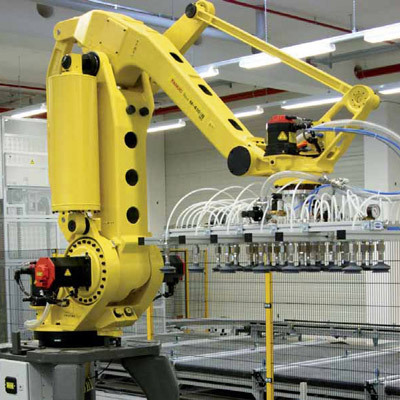 Complex part size and type recognition, sorting and facing tasks are completed using integrated vision and motion control functions. 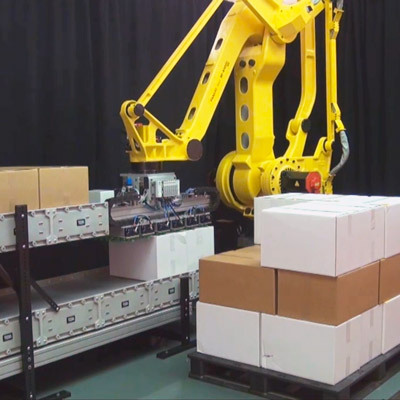 Configuration is easy, with good pallet software allowing operators to simulate palletising operations before transferring the setup to the robot. Often incorporating motors and controls from the same manufacturer, good servo grippers can be easily adjusted to all kinds of product sizes and types, including bags. 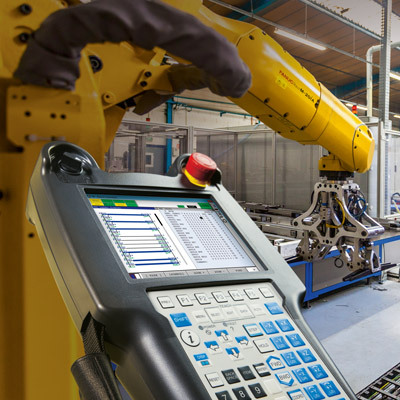 3D area sensors keep your production line running by self-detecting and depalletising items that have moved from their reference positions. Straightforward and easy to use, simulation software allows you to model industrial palletising operations offline. 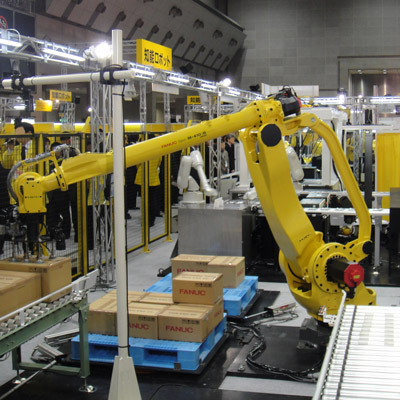 Once complete, the new configuration is simply transferred to the robot. Unlike traditional solutions that calibrate layers, some vision systems are capable of calibrating entire pallets.